P.I. 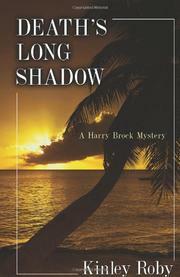 Harry Brock has a difficult time handling his relationships with three women as he works a murder case. Wealthy Floridian Brandon Pike is decapitated by a wire while out for a ride on his horse-breeding farm. His young wife Holly hires Harry to protect her interests. Pike had a complicated life, as Harry discovers, including a long-time affair with his half sister Clarissa Cruz, who holds the lease on the adjoining Oleander Farm. The police suspect that Holly was having an affair with farm manager Tyce Yellen, but he is the next to be brutally attacked. A number of animals are mutilated and a stable burned, forcing Harry to widen his pool of suspects. In the meantime, his ex-wife Katherine arrives for a visit causing a breach in his relationship with Soñadora Asturias that forces him to examine deeply buried feelings. The fact that the beautiful Holly is relying on him for emotional support further complicates his life. When Harry and Katherine are almost killed in a hail of bullets, Harry puts his life on the line to bring a determined killer to justice. Another exciting entry in Roby’s Harry Brock series (Death’s Other Kingdom, 2009, etc.) set in southwest Florida. Although mystery is lacking, there is plenty of action and romance to keep the reader engaged.